Sword Polished by David Hofhine Breaks World Record! 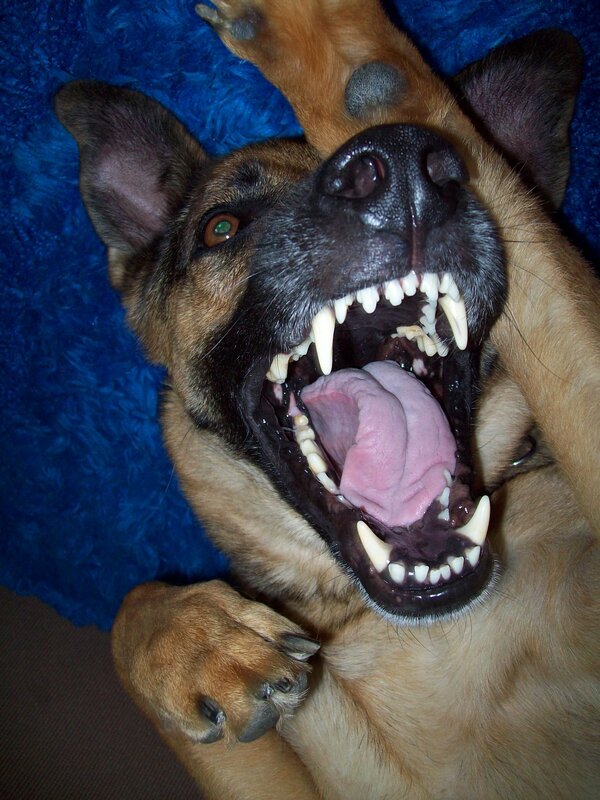 Click here for LOTS more Japanese swords on Facebook!!! 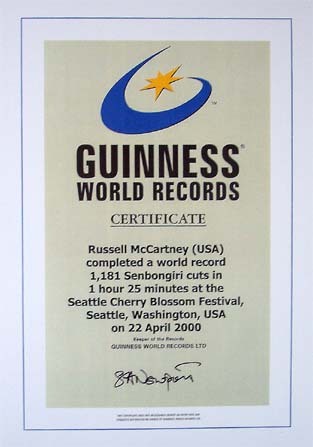 On Saturday, April 22nd of 2000, a blade that I polished and sharpened specifically for this attempt was used to break the world Senbongiri target cutting record by Russell McCartney, Soke of Ishi Yama Ryu. The record breaking attempt was part of the 25th annual Seattle Cherry Blossom and Japanese Cultural Festival. The blade was a quality gendaito by the Seki smith Kanehide. 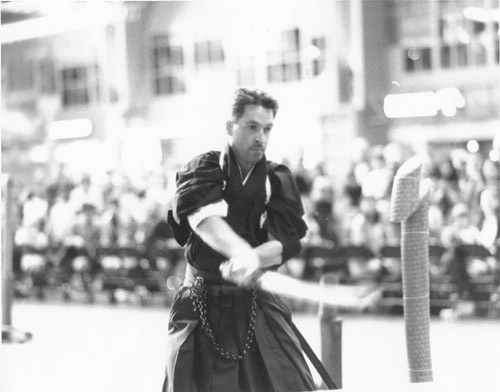 I prepared the blade for the record breaking cuts with special techniques I have developed over the years specifically for tameshi-giri swords. 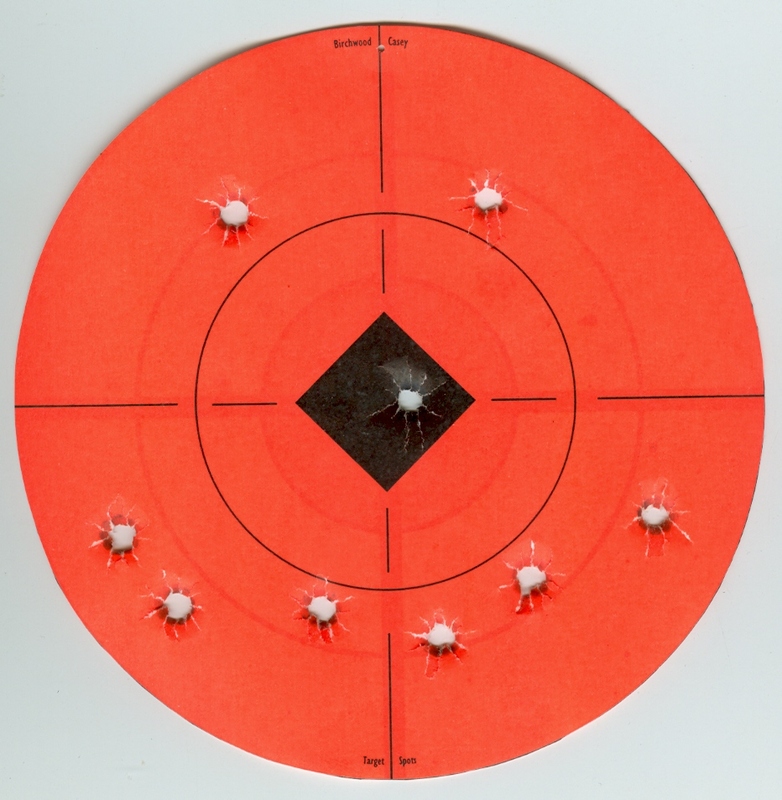 Soke McCartney successfully cut 1,181 consecutive targets without fail in less than 85 minutes! The super human exertion left Soke McCartney hospitalized for 2 days. The specifics of this record have been officially tallied and finalized with Guinness. The official certificate for the new world record is shown here. 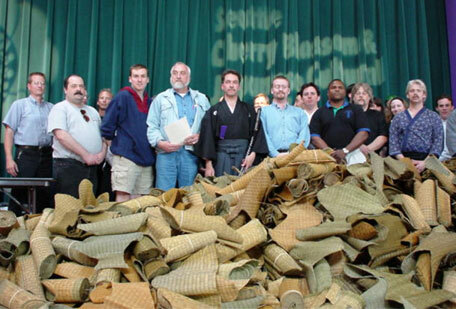 The old record was 1000 cuts in 1 hour 36 minutes, held by Saruta Mitsuhiro, Soke Batto Do Ryu Sei Ken. Saruta Sensei holds the current record for Kabuto Wari or 'helmet cutting'. That is the art of using a traditional Japanese sword to cut through a steel helmet of the type the samurai used to wear. 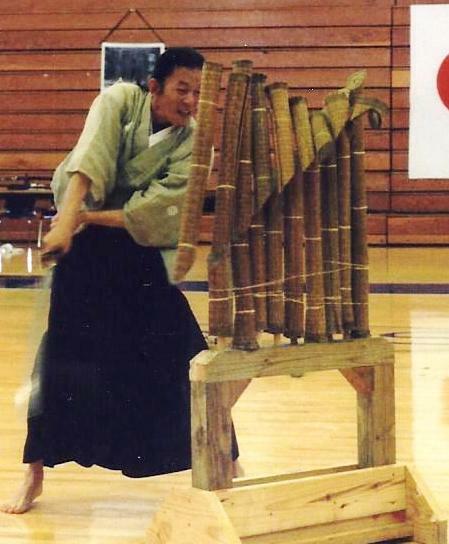 He is pictured here cutting 9 goza with kesagiri.